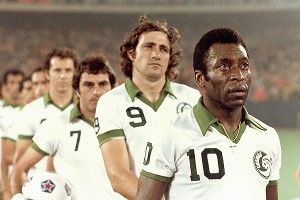 Giorgio Chinaglia, the former Italian soccer star and goal-scoring legend for the New York Cosmos, passed away Sunday at his home in Florida, according to reports. Chinaglia, who spent several seasons with the Cosmos in the North American Soccer League, also played for Lazio, which won an Italian title in 1974. Chinaglia appeared on a Men in Blazers podcast last fall. You can find that on the ESPN.com Podcenter. Chinaglia’s interview is at the 16-minute mark.